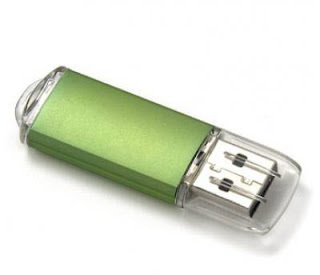 How to format flash drive or memory card ? 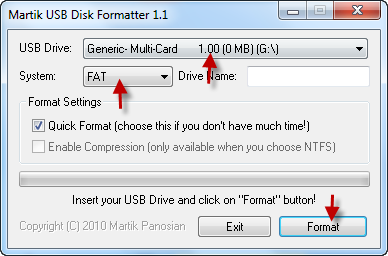 OK , Insert your flash drive to your computer .Open Martik USB Disk Formatter software .From the upper menu called usb device , choose your flash drive .Choose your format options from "system" weather FAT or NTFS .Press format to begin flash drive formatting process .Please wait until finishing formatting . this is the second software i tried but unable to download. that links to a website with other article & a icon to download zip opener software. could you print screen how to do it? Hello. Tell me please what pins of Samsung K9HCG08U1M-PCB0 let me start my flash Transcend JetFlash JF V30 with Alcor AU6986 to it in AlcorMp tool? I mean (lool at my previous message at June 19, 2015 at 5:21 PM above) that Alcor MP or Alcor UFD didn't see my flash. I want get a test mode on she.